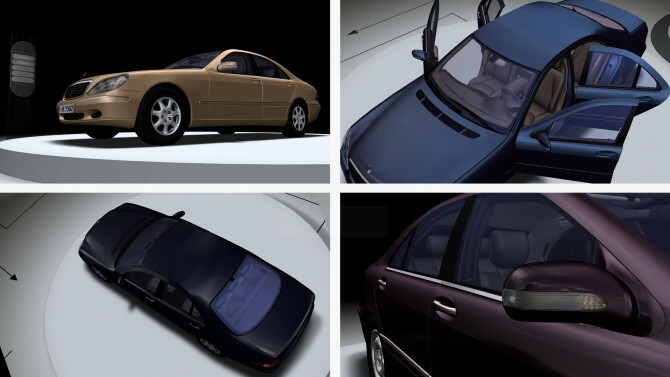 The aim of this project was to create an intuitive system for navigating through and configuring a virtual car. The system was to be accessible to all kinds of audiences, and not limited to computer-literate expert users. 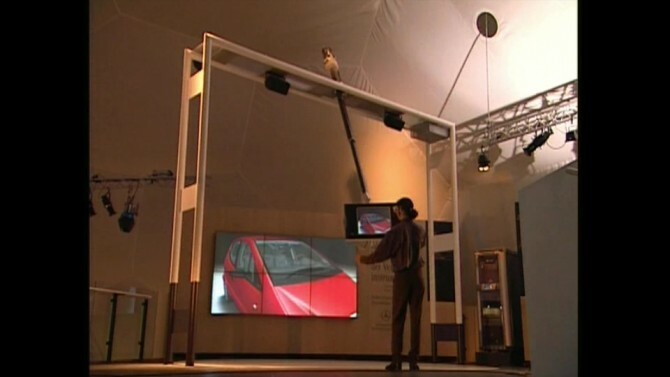 The system presents a virtual car in real-life size, which can be viewed through a high-resolution touch screen mounted on a telescopic mechanical arm. 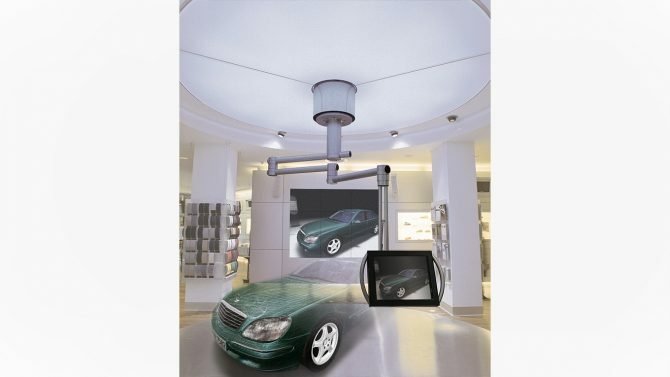 One can navigate around and through the virtual car by simply walking around with the display. 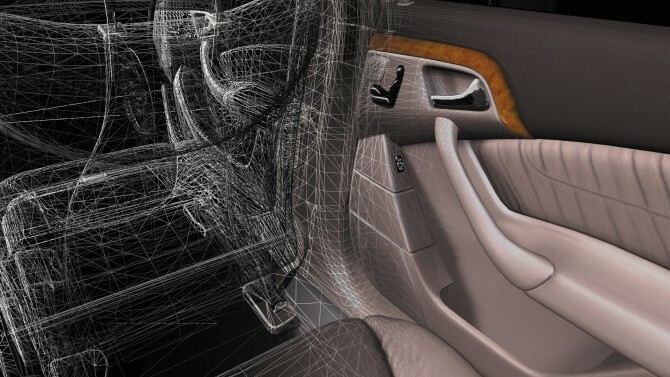 With this absolute navigation, one metre’s motion in physical space corresponds to a metre’s movement in virtual space. 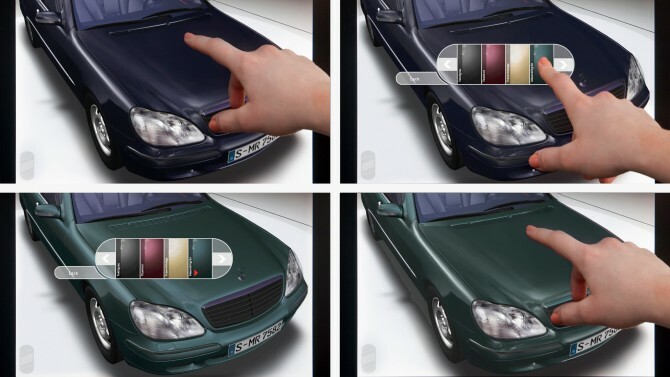 The touch screen adds the possibility to interact with the car instead of only looking at it. 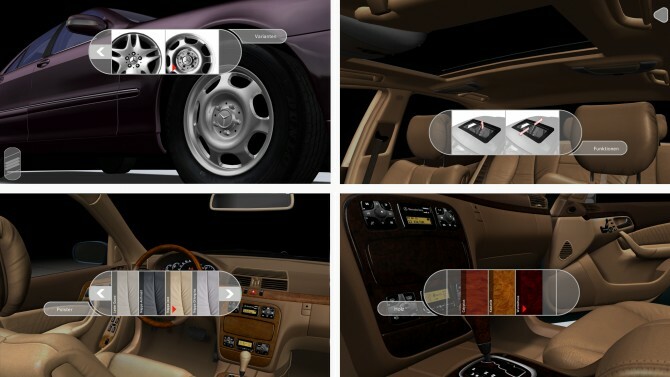 By touching different parts of the car, additional information is displayed, and one can select variations of the features available.